So, we've got some updates about Dead Space 3. Couldn't find a thread for it, so I decided to make one. Here goes. We've got some stuff from Gamescom, as well as some pretty tasty announcements. I don't know about you guys, but I still have high-hopes for Dead Space 3, even though they're adding in a co-op option. Doesn't bother me one bit. More bro-op action. Plus, if you've read my reviews of the previous two games you'll know I loved them both. I expect the same kind of love with the third game. We will see the return of Isaac Clarke, as well as his new "partner" John Carver. Face off against the classic Necromorphs, along with some variations of the alien. Will also be fighting against human soldiers called "Unitologist Soldiers"
The ability to roll, and take cover. Solo campaign, and co-op will be entirely diffirent. Isaac may be getting more mentally unstable. I heard you guys may like some screenshot, and the new trailer they revealed at Gamescom today. Enjoy them, please. John Carver, and Isaac Clarke. Who will you play as in co-op? Loving Isaac's new suit, plus that Necromorph looks equally terrifying. Then we have the trailer, and from what I've seen. It doesn't look disappointing to me in the slightest. Dead Space 3 will still be a Day One purchase for me, and I can't wait to experience the horror. I'm actually more interested in this because of the co-op. I didn't really enjoy Dead Space 2 all that much (still haven't even finished it) but if I can double team those necros with the Flying Dutchman I'm in. I loved Dead Space and Dead Space 2, so I'm super psyched for this one. I'll definitely be picking this one up. Sorry for the bump, but I've got a new batch of news concerning the Limited Edition of Dead Space 3. Surviving violent, subzero conditions while fighting gigantic creatures, human enemies and blood-thirsty re-animated corpses is no easy task. Thankfully, gamers who pre-order the Dead Space 3 Limited Edition will have a bit of an advantage, as it offers two bonus suits and weapons right at the beginning of the game. The Dead Space 3 Limited Edition provides gamers with first access to two game bundles: "First Contact" and "Witness the Truth" - each of which contains an advanced suit and devastating new weapon. These hand-crafted weapon combinations act as initial blueprints for the millions of permutations players will be able to create using the all-new weapon crafting system in the game. Read about them below! First Contact Suit: This unique EVA (Extra-Vehicular Activity) suit was built by the SCAF (Sovereign Colonies Armed Forces) for encounters with "foreign entities." It sports a flamboyant golden finish to provide protection from long-term space exposure and thick armor for... unspecified reasons. The suit was given the nickname "First Contact" by the scientists who made it. Negotiator Weapon: While technically classified by the SCAF as a "scientific instrument," the gold-plated "Negotiator" is loaded with some surprisingly aggressive hardware. The overclocked, top-mounted Tesla Beam is capable of bursting a man-sized organism into several pieces with a single shot. The bottom-mounted Linegun appears to have been built with the sole purpose of cleanly dismembering organic tissue from a distance. Witness Suit: These insulated suits were worn by a SCAF deep dig team assigned to exhume the darkest secrets of Tau Volantis. Whatever they found locked deep in the ice changed them forever. When they emerged weeks later, they were covered head to toe in strange graffiti and claimed to be "Witnesses to the Truth." Evangelizer Weapon: A modification of the standard AL-2 used by the Sovereign Colonies Legionaries, this version sports a souped-up AL-2g assault rifle on the top with an Emerson 2100 "Big Boy" tactical shotgun on the bottom. The surviving "Witnesses" of the SCAF deep dig team dubbed it the Evangelizer and decorated them top to bottom with strange symbols. Dead Space 3 cuts to the heart of deep space terror. Players will embark on a thrilling ride through space that takes them to a hostile new planet, the icy world of Tau Volantis. Fortunately, they are not alone this time around. The fully integrated drop-in/drop-out co-op feature gives players the option to play alone or team-up with a friend anytime. Players that choose to take down the terror together will experience additional story details, side missions and gameplay mechanics only found when playing as John Carver. From the lonely depths of space, to a graveyard of derelict spaceships, to a frozen planet with brutal conditions, Dead Space 3 takes action and terror to incredible new heights. 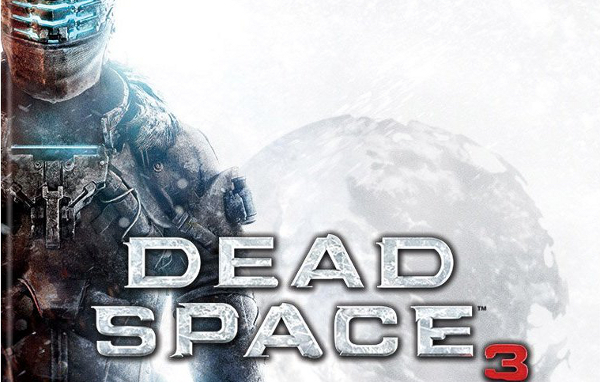 Dead Space 3 is being developed for the PS3, Xbox 360, and PC. This product has not yet been rated by ESRB or PEGI, but if past games are any indication, expect lots of wonderful blood n' guts. Dead Space 3 launches in North America on February 5, 2013. I've yet to pre-order a Dead Space game, but I'm really intrigued by this. Chances are I will be pre-ordering. Anyone else? I wish they would push the horror part of their action-horror franchise more then the action part, but I can't say I'm surprised it's going this way.